Erg Chigaga sahara dunes is a much younger and less-frequented destination. Erg chegaga dunes are in the southeast of Marrakech, towards the Algerian border and they're located over 60 kilometers away from the nearest town Mhamid. The desert is somehow more vaste and wild here. Those opting for an Erg Chigaga desert tour should expect a rustic experience, without access to nearby hotels. 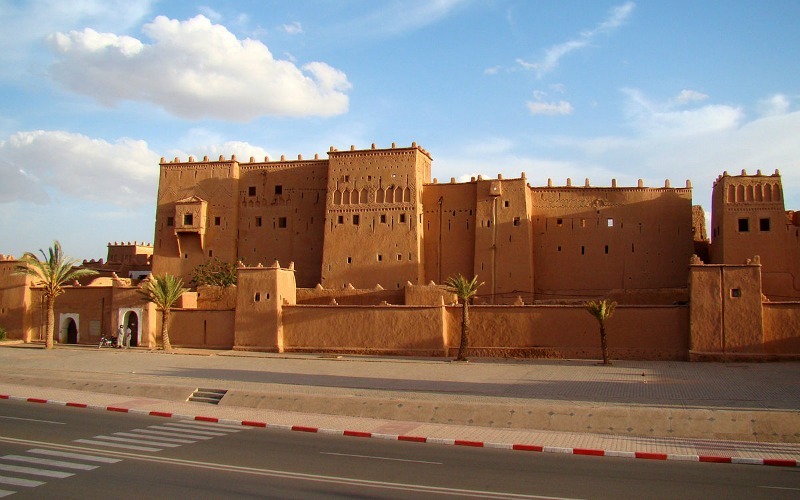 This desert tour requires at least 3 days of travel through Ait Benhaddou, Draa valley palm groves and a rocky desert landscape before reaching the sahara dunes. 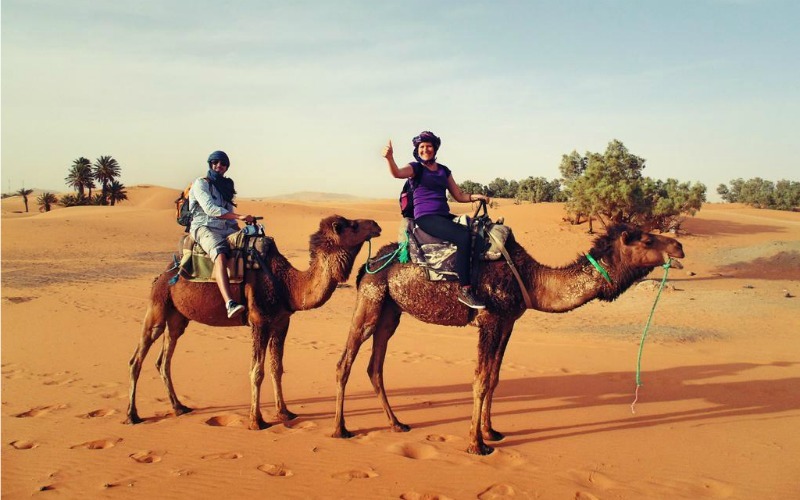 The Erg chigaga desert tour is fascinating, the sahara desert trip that offer you the opportunity to ride a camel, climb sahara dunes, run the cinnamon-and-sugar sand grains through your fingers, admire picturesque views and sleep in tents or under the stars. The other sahara dunes are Erg Chebbi dunes in Merzouga. Erg Chebbi dunes are more popular and reach a height of up to 150 meters in places and altogether span over an area of 50 kilometers. 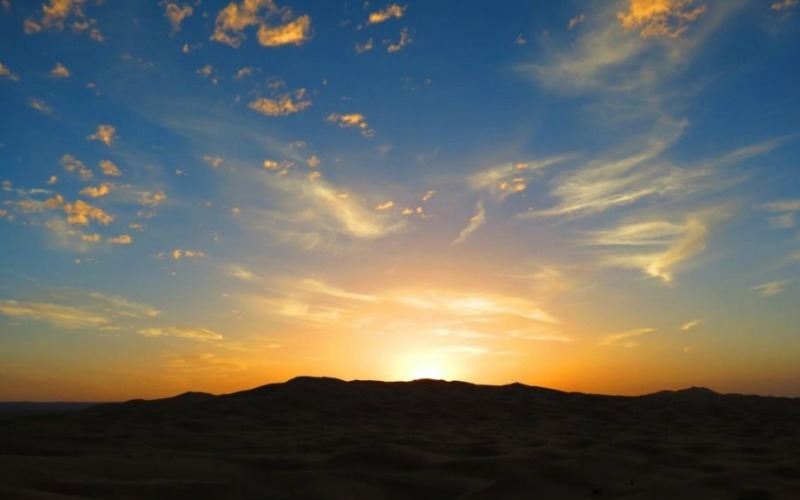 Hotels align on the edge of the desert, giving travelers the option of spending the night in the comfort of a traditional hotel room or in a luxury camp and then exploring the Merzouga desert and its surrounding by day. 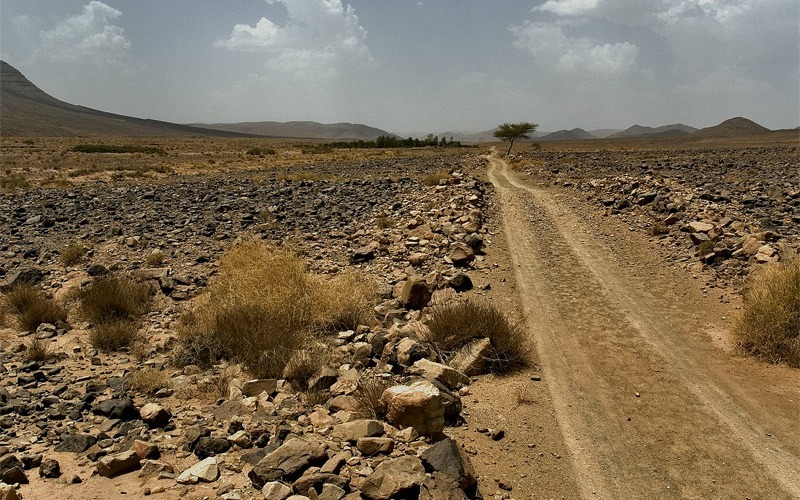 We start our Chegaga 3 days Morocco desert tour with an air-conditioned 4×4 vehicle at 08:00am from Marrakech. 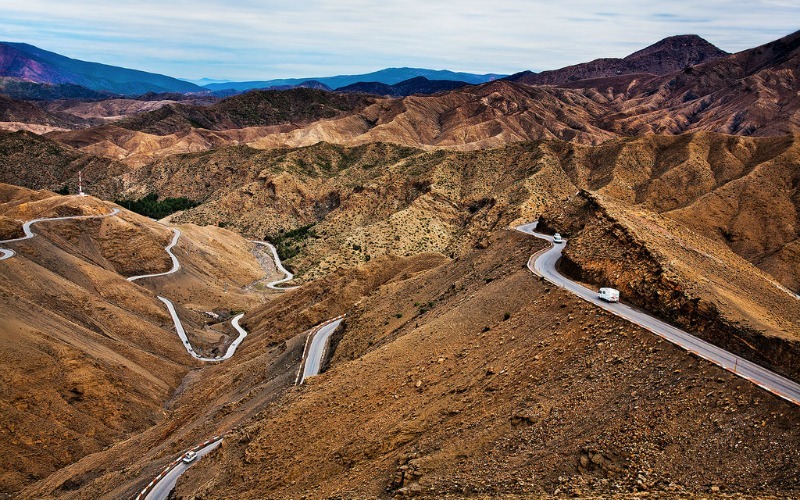 We cross the High Atlas Mountains- Tizi-n-Tichka Pass driving along a scenic and picteresque area to reach the world heritage site of Ait Benhaddou, Morocco's most famous ksar ( ksar = old village of kasbahs). 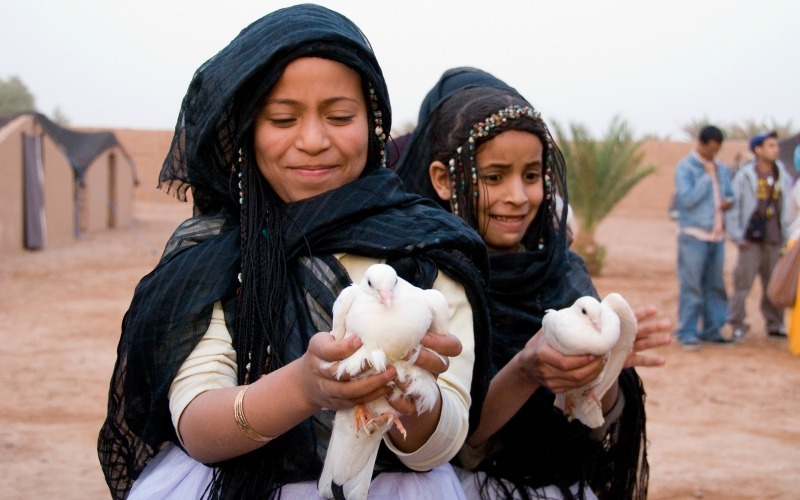 Lunch will be in Ouarzazate or Agdez. 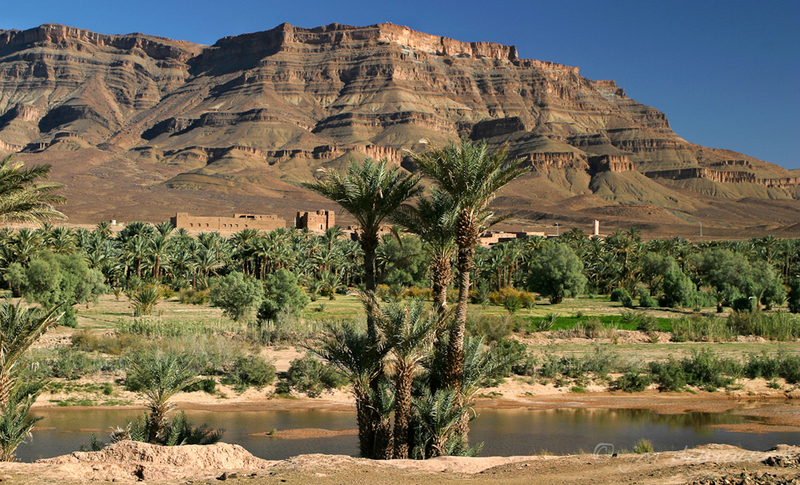 The trip goes through Draa Valley with its palm trees and old Kasbahs. Night with dinner will be either in a Hotel in Zagora or under the Tent. After breakfast, our Erg Chigaga desert adventure continues through the palm groves of the Draa valley . After a short break in the panoramic view of Draa palmeraie, we will have a stop at Tamgroute to visit the famous Coranic library (Closed on national and religious holidays) and an underground Kasbah, we will continue to M'Hamid, a small village – the last town and the major Draa oasis before the big wasteland of Erg chegaga sahara. Next, we continue our 3 days desert tour from Marrakech another 60 km off road from M'hamid to Erg Chegaga dune. This largest group of sahara dunes of the region reaches a height of 300 m and span on area of 40 km. 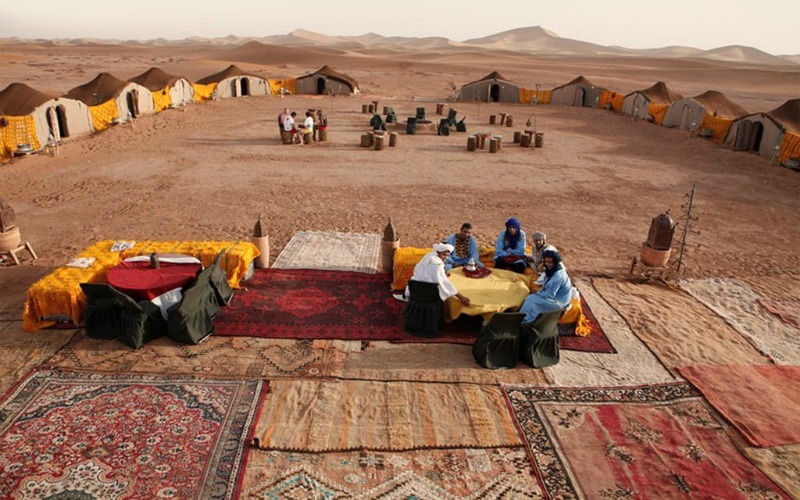 Dinner and night in a berber tent camp after a 40 minutes camel trek to enjoy the golden sunset of the desert. 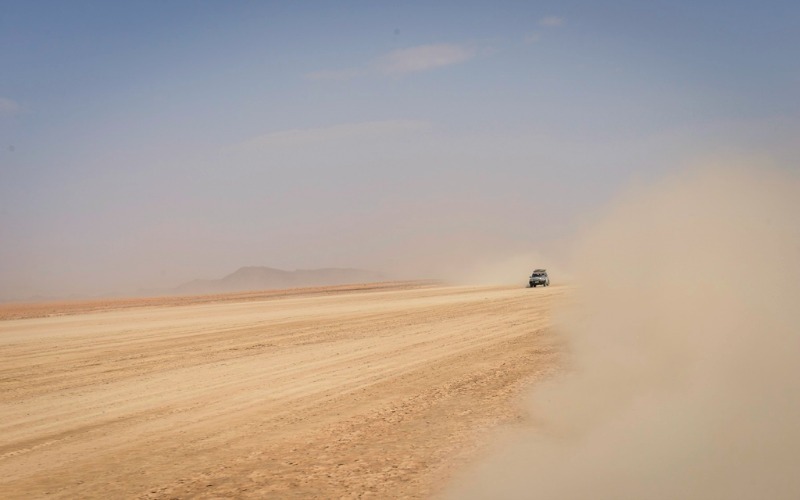 After breakfast in Erg Chegaga Bivouac, departure with 4×4 via the old Paris – Dakar race road to Foum Zguid crossing the natural dry Iriqui lake, lunch break in the berber village of Taznakht. We arrive to Marrakech at late afternoon around 6pm and you will be dropped off in your Riad.